Membranes, modules and systems for the ethanol dehydration and solvent recovery. Consultancy, membrane screening and pilot testing. ECN HybSi® Membranes delivers pervaporation membranes with an unprecedented hydrothermal stability at high temperature. Licenses and patents: The HybSi® membrane and auxiliary system technology is covered by a number of ECN patents. ECN is currently looking for interested parties to take a license. 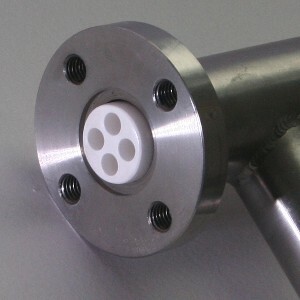 Membranes and modules: Single tube modules with a membrane surface area of up to ~400cm2 are available to selected endusers. On-site pilot testing: ECN provides a service to perform on-site testing using a skid-mounted installation with a total membrane surface area of 1m2.